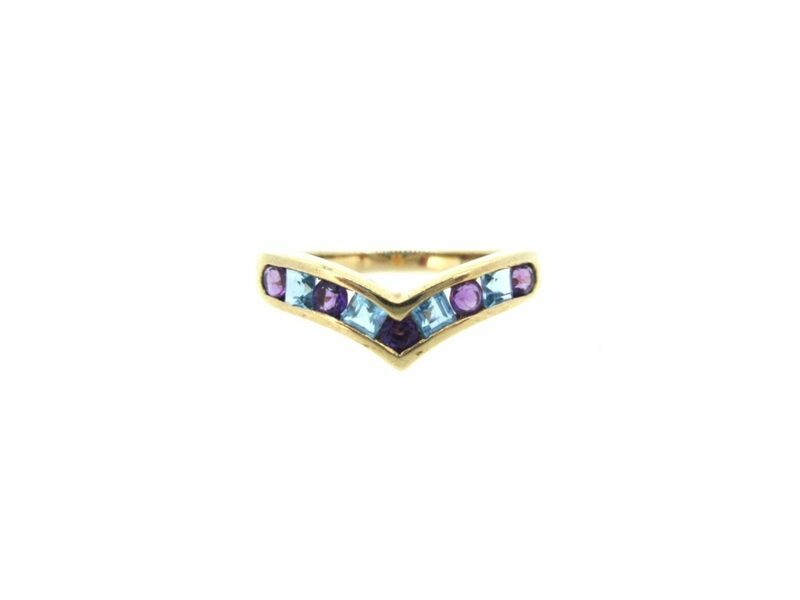 Alternating round cut amethyst & square cut blue topaz stones, channel set into a wishbone shape setting. 9ct gold. Pre-owned.